When people think of massage, they often think of relaxing, pampering, light touch, and reducing stress. Those are all luxurious components of wellness massage and are beneficial! Most of our patients, however, are in our office for soft tissue issues that they’re working though. Conditions such as Tendonitis, I-T Band Syndrome, Piriformis Syndrome, Cervicogenic (Tension) Headaches, Rotator Cuff Syndrome, and Sprain/Strains. For these ailments, more specific treatment is necessary, and that’s where clinical or medical massage comes in. We have a team of three Licensed Massage Therapists in our office that each have additional training to enable them to aid patients in healing more complicated issues. Karlie, Brad, and Melina are experts in modalities such as: myofascial release, trigger point therapy, sports massage, structural massage, and pre-natal massage. Each therapist has their own advanced training and our office will help pair you with the best match for your individual needs. A major difference in clinical vs spa massage is the treatment plan that is developed for our patients. 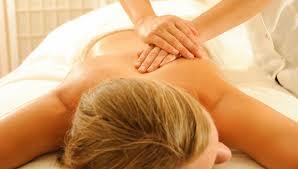 Spa or wellness massage is usually a singular treatment, maybe to celebrate a holiday or birthday. Clinical Massage is much more results oriented. Our goal is to help heal each patient’s ailment. Examples may be: pain reduction, increased range of motion, scar tissue adhesion removal, improved biomechanics, or decreased inflammation. That typically takes more than one session with focus on a specific area of the body. A significant part of getting the health goal achieved is working with someone who can monitor the patient’s progress. In our office, you can choose to see the same therapist for the course of treatment, so the therapy is consistent and moves forward gracefully. We would love for Lakeway Spine Center to be your go-to place for healing! Our team is ready and capable of helping you!